If you are considering a short scar facelift, this page will give you a basic understanding of the mini facelift procedure: when it can help, how it is performed, and what results you can expect. Dr. Stanwix will be pleased to answer all of your detailed questions during your consultation. Am I a Candidate for a Mini Facelift? The ideal candidate for a mini facelift is a man or woman whose face and neck have early signs of sagging. These individuals have the beginnings of excess skin: minimal jowls and mild marionette lines. Most patients are in their thirties to fifties, but mini facelifts may be indicated for those older than this. A mini facelift will make you look younger, fresher, and rejuvenated in little to no surgical time. It may enhance your self-confidence in the process, but it cannot give you a totally different face, nor can it restore the health and vitality of your youth. Also, it will not remove the fine lines or wrinkles; for this, Dr. Stanwix may recommend a facial peel or laser treatments as an adjunct. One thing to remember is that a mini facelift will not have the dramatic result of a traditional facelift and will not last nearly as long. Before you decide to have surgery, think carefully about your expectations and discuss them with Dr. Stanwix. A mini facelift takes Dr. Stanwix about one and a half hours to perform. Unlike the traditional facelift, a mini facelift incision is kept in front of the ears in the shape of an “S”. The incision begins hidden in the sideburn area and extends in a natural line in front of the ear. It then courses in back of the small cartilage at the front of the ear, and continues to just around the earlobe. All of these incisions are well hidden and concealed. In general, the Dr. Stanwix separates the skin from the fat and muscle below. Lastly, he pulls the skin back and removes the excess. Stitches secure the layers of tissue and close the incisions. Frequently, he tightens the underlying muscle and membrane by performing a SMAS plication and his unique “individualized vector analysis.” He performs this differently in each patient because no two faces are alike and the best results are individualized. By doing so, he recruits the sagging fat and musculature and raise it back to its youthful position and volume in the cheek area. A light dressing to protect and secure the skin and incisions is then placed carefully over the face. There is not usually much discomfort after surgery; if there is, it can be lessened with pain medication prescribed. Some slight numbness of the skin is normal and usually disappears in a few weeks. After surgery it is important to keep your head elevated. Unlike traditional facelifts, the bruising and swelling from this surgery is limited but may still occur. Dr. Stanwix will see you in the office the next day and remove your dressing. You may shower that day and clean your incisions. Finally, five days after the procedure, your stitches will be removed in the office. One of the greatest benefits of a mini facelift is the lack of downtime; you will feel back to your usual self in a day or two. Dr. Stanwix will give more specific guidelines for gradually resuming your normal activities. You will be excited with the youthful transition to a new, younger, more rested you. With minimal swelling and bruising, your new look will be apparent within the first week! You will have scars from your mini facelift, but they will be minimal and well hidden in the natural creases of your face and ears. In any case, they will fade within time and will be scarcely visible. Having a facelift does not stop the clock, it just turns it back. Your face will continue to age with time. 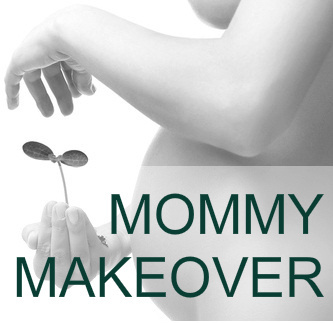 Years later most individuals will have a touch up mini facelift or a traditional approach. Regardless of the natural course of ageing, the lasting results of the mini facelift will always keep you looking younger than if you never had the procedure.